The president has been consistent in demanding a border wall. He hasn’t been so consistent in explaining why. President Donald Trump has been steadfast in his demands for a border wall, launching his campaign on a promise to build one and continually insisting from the White House that he will deliver on that pledge. But Trump has been less consistent in explaining why the U.S. needs such a wall along the U.S.-Mexico border. 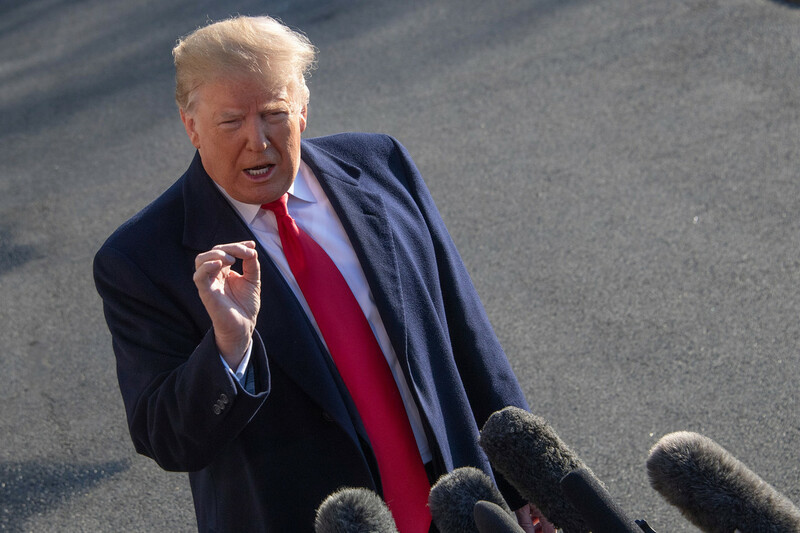 His evolving justifications are taking on new significance now that Trump is weighing whether to declare a national emergency in a controversial attempt to circumvent Congress and secure the billions of dollars that would be needed to build the barrier. Trump, who has thrust the government into a partial shutdown with his wall demands, is taking his case to the American public with a prime-time televised address on Tuesday and a border visit on Thursday. Trump wasted no time pitching his wall, weaving it into his presidential run announcement at Trump Tower in New York. Mexico later denounced Trump’s claim and multiple reports have been published that show undocumented immigrants, in addition to legal immigrants, are less likely to commit crimes than native-born citizens. In a major immigration speech prior to the general election, Trump lamented that the U.S. doesn’t know the scope of the illegal immigration problem and laid out a series of threats that he claimed immigrants posed. To combat that, Trump said the U.S. should build a wall. “It will be started ahead of schedule and, when finished, it will be a very effective weapon against drugs and crime,” he said. Trump’s justification for his wall demands took on a new dimension when a migrant caravan, which consisted mostly of Central Americans, started making its way to the southern border. Trump denounced the roughly 1,000-person caravan, and said it was another reason why the United States needed a border wall. Trump also called on Mexico to stop the migrants, and threatened to make the enforcement a condition of the new NAFTA deal that the U.S., Canada and Mexico were negotiating at the time. The full caravan, which happens annually, did not make it to the border and instead stopped in Mexico. Prior to the midterm elections, Trump began denouncing another caravan of thousands of migrants, mostly from Honduras, as a deadly threat, and repeatedly pointed to the caravan as further proof of the need for a wall. In a dramatic move, Trump also deployed troops to the southern border to stop the caravan, and threatened to shut down the U.S.-Mexico border. But soon after the midterms, Trump dramatically scaled back his talk of the caravan and did not follow through on his threats to take more drastic actions. In one of his most recent cases for the wall, Trump claimed that his predecessors expressed to him that they wished they had built a wall. However, all four living presidents have denounced Trump’s plan. Former Presidents George W. Bush, Bill Clinton and Jimmy Carter have released statements saying they have not discussed the border wall with the president. Barack Obama’s spokesman declined to comment, but the former president has pushed back against Trump’s pledge to build a wall in the past. White House officials have falsely claimed that Customs and Border Patrol agents caught thousands of known or suspected terrorists at the U.S.-Mexico border. However, NBC News reported that only six non-U.S. persons that officials encountered at the southern border were on the Terrorist Screening Database from Oct. 1, 2017 to March 31, 2018. Thirty-five American citizens or lawful permanent residents that CBP came across at the U.S.-Mexico border were also on the database. After the statistic was debunked, some administration officials began using a broader statistic to point to a threat along the southern border. More than 3,000 “special interest aliens” were encountered at the southern border in 2018. However, the definition is vague and only includes that the person has traveled to or come from 35 countries labeled “special interest” following the 9/11 attacks because of historic ties to terrorism. Homeland Security Secretary Kirstjen Nielsen in a series of tweets, however, noted that being on that list does not mean they are a threat to national security.